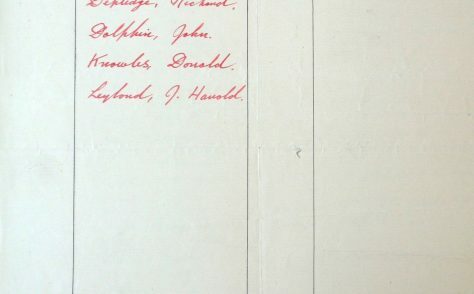 At MyMethodistHistory.org.uk we are endeavouring to remember the 26,581 Wesleyan Methodists and 15,000 Primitive Methodists who gave their lives in the Great War. 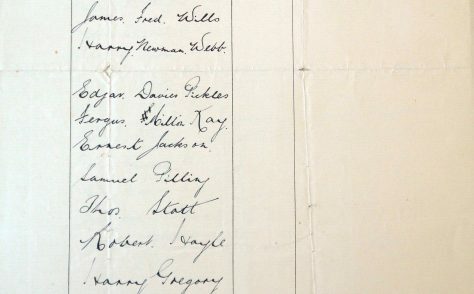 The Wesleyan figure is taken from forms submitted by the Wesley Guilds. 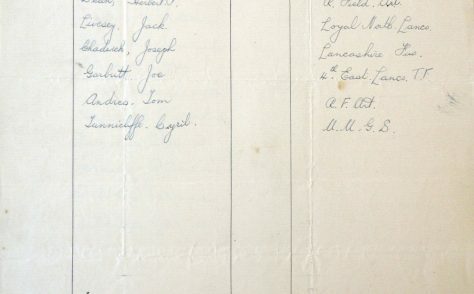 These were collated and sealed in a casket which was placed under a stone in the newly built Wesleyan Memorial Chapel at Catterick Camp. 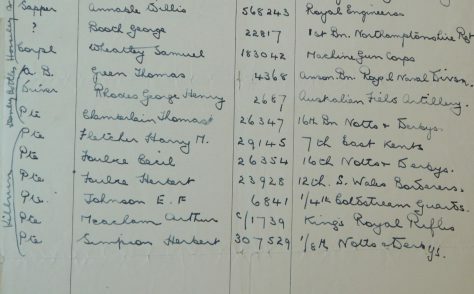 The Chapel was erected in memory of all the Wesleyans who were killed in the war, and opened on 8th August 1928 by Princess Mary, Viscountess Lascelles. 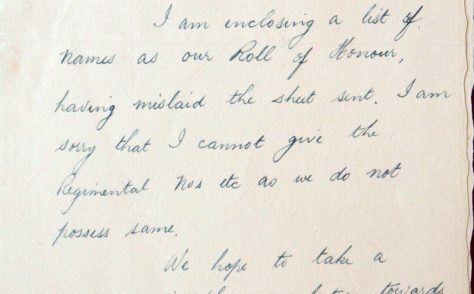 In order to compile the Roll of Honour, all Wesley Guild Secretaries were requested to write to Revd. 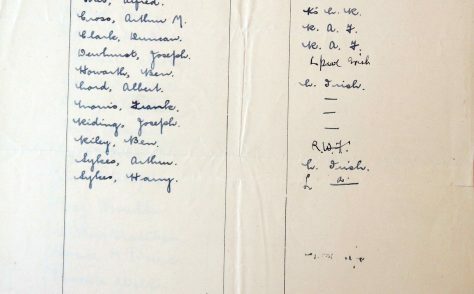 Stanley H. Keen with details of all members of their church who had died in the Great War. 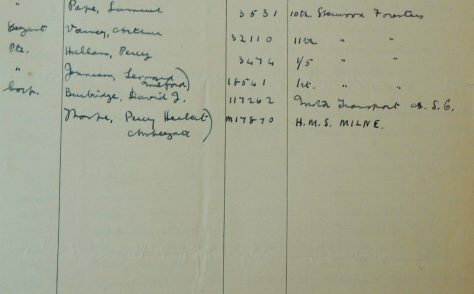 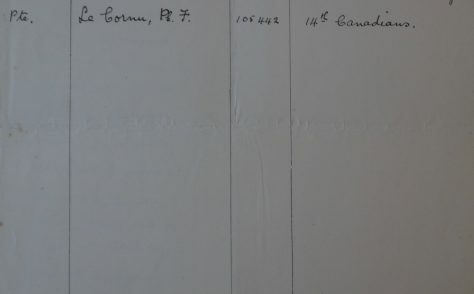 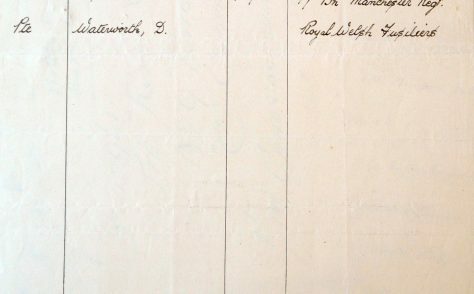 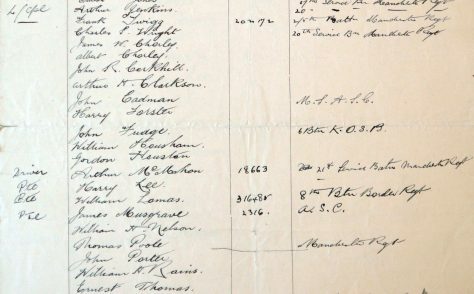 201 replies, representing 2 circuits and a further 206 chapels, and listing 2,701 individuals, did not arrive in time for the dedication, and are now preserved at the Methodist Archive and Research Centre (reference MA 6001, Box 8, originally MA8030). 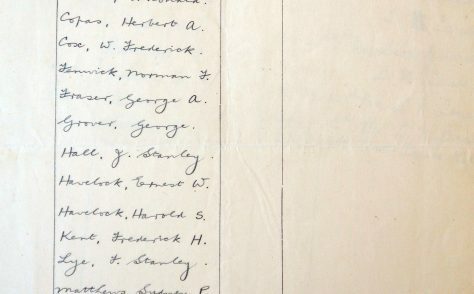 During the war the Wesleyan Methodist Conference had attempted to maintain a record of those members who had lost their lives, and four Rolls of Honour were published in connection with the Conferences of 1915, 1916 and 1917, and in 1920. 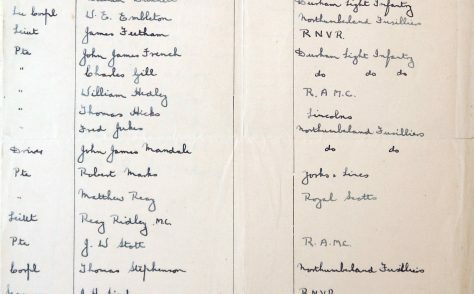 After the war, as well as the memorial chapel, The Wesleyan Connexional War Memorial, was dedicated in Wesley’s Chapel in London: ‘In loving memory of the 26,581 Wesleyans who gave their lives in the Great War, and in gratitude to the 285,000 who also served’. 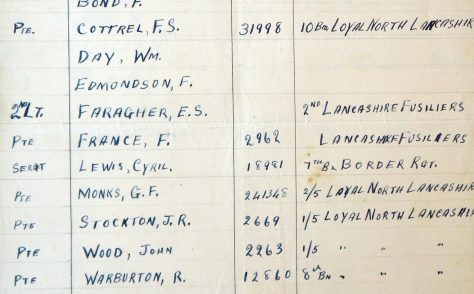 Official remembrance in local communities could take a number of forms, not all listing the casualties. 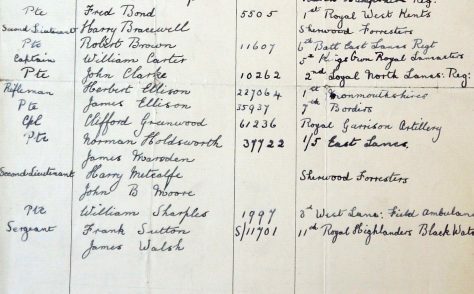 Many Methodist chapels chose to erect their own memorials, and The Imperial War Museum register of war memorials includes 1966 Methodist memorials. 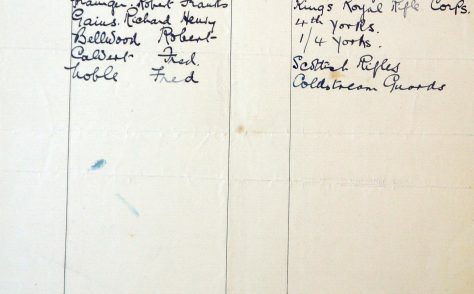 Despite all these efforts, it is difficult to compile a definitive list of the Wesleyan war dead. 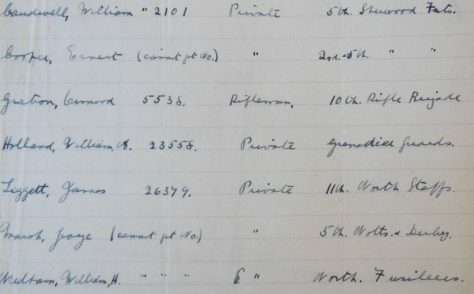 The Commonwealth War Graves Commission could only record what information they were given on the gravestones: only 41 men are described as Wesleyan Methodists (4 as Primitive Methodists and 12 as United Methodists). 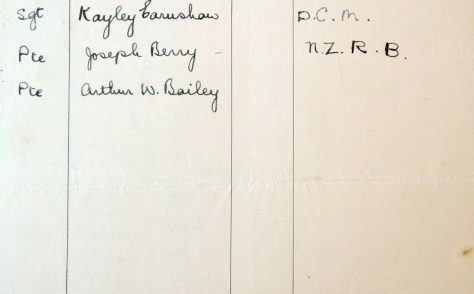 Only 8 of the Wesleyan Methodist chaplains who fell are described as such. 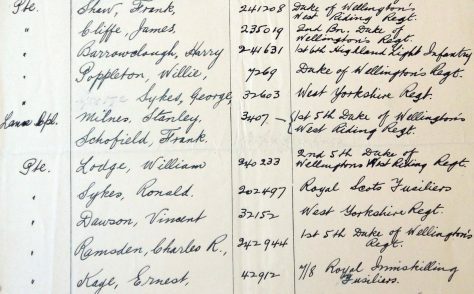 Many local memorials are lost, or never existed. 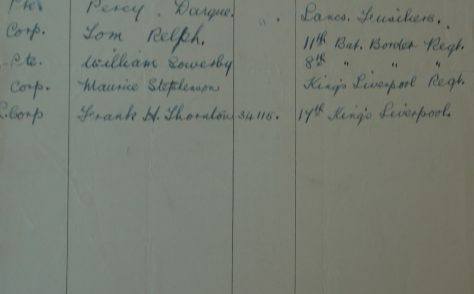 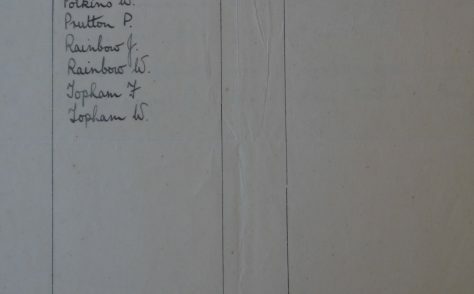 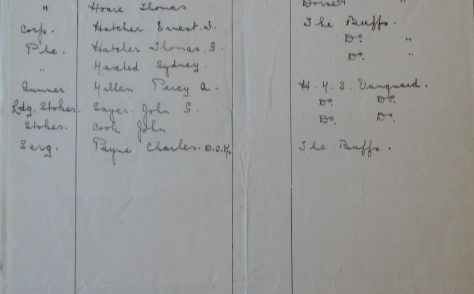 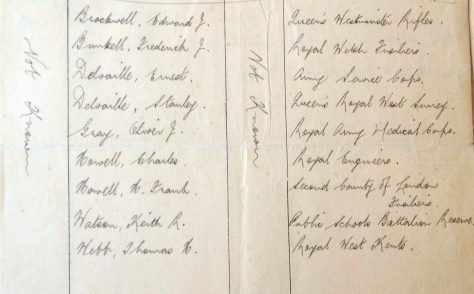 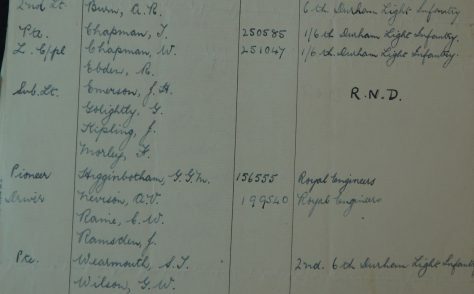 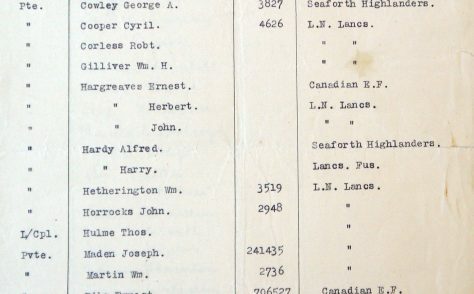 In many cases, then, the rolls of honour we have recorded are the only record that the men and women remembered had a connection with the Wesleyan Methodist Church.